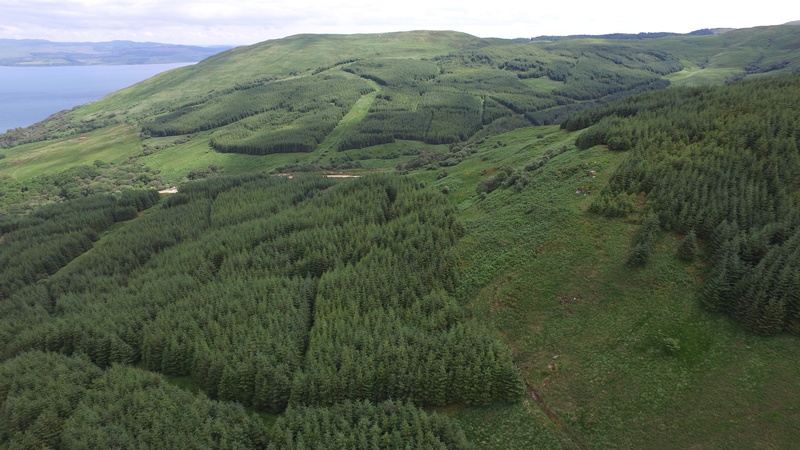 In the early 1990’s DGA Forestry was approached by the owners of the Estate to put forward proposals for the existing woodland and new woodland creation on the Estate, to replace the sheep farming enterprise. A land use assessment identified that the Estate had extensive remnants of ancient and semi-natural woodland, including part of the Artilligan and Abhainn Srathain Burns Atlantic Oakwoods SSSI. It further identified opportunities for the conservation and expansion of these woodlands in conjunction with a commercial conifer new woodland creation project. In addition to the woodland project one of the objectives was to retain a small farming unit based on the home farm. 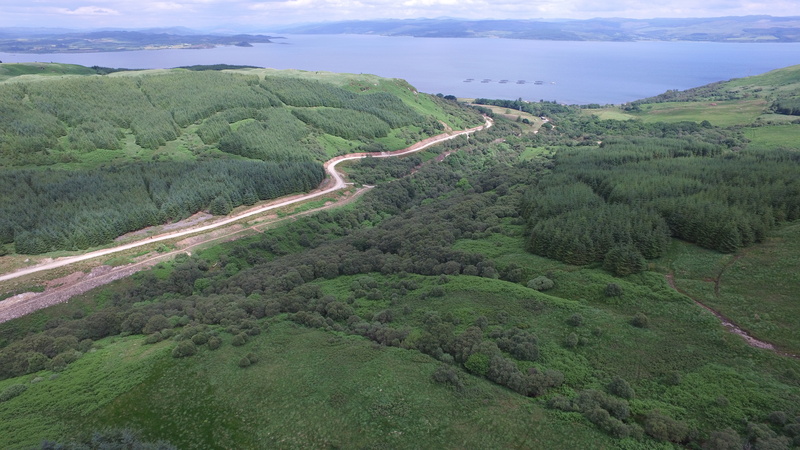 An Environmental Impact Assessment (EIA) was requested by Forestry Commission Scotland (FCS) with the key areas being ornithology, archaeology and landscape. 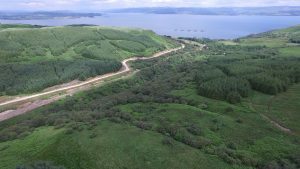 A consultation process was carried out with statutory consultees and other interested stakeholders, after which the Environmental Statement and forestry grant scheme application were submitted to FCS for approval. The scheme was approved in mid 1990’s with two key elements. 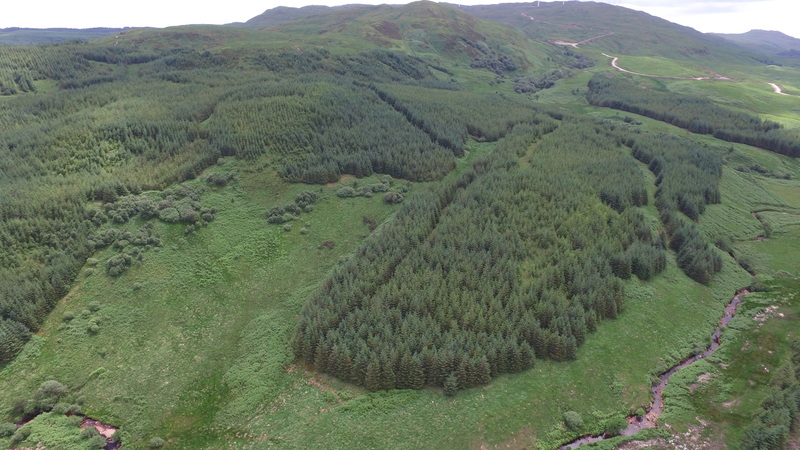 Firstly, the expansion of the ancient and semi-natural woodland covering nearly 600ha and, secondly, the establishment of nearly 200ha of commercial conifers to provide long term capital growth and a source of income in the future. The works were carried out in 1997 including a perimeter deer fence to exclude livestock and wild deer. 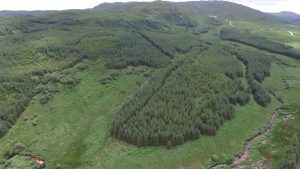 The commercial conifer woodlands focused on fast growing varieties of Sitka Spruce, including plants sourced from different seed sources to match the site. Recently diversification has continued on the Estate into renewable energy projects including wind and hydro.